Paint Drying Ovens, also referred to as Dryers or Paint Curing Ovens or Paint Baking Oven removes the moisture from water-based coatings and adhesives. Paint Drying Ovens are also removes water from the surface or interior of products with the help of thermostatic controls in case of electrical heating and temperature controllers operating solenoid valves in case of steam, gas and oil heating. 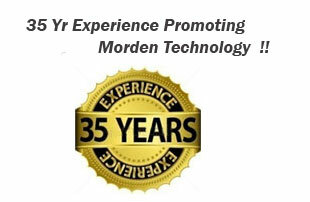 A Industrial Paint Curing Oven cures dries the paint through the heated air that is re circulated in the Oven. This is generally done by having a heating chamber where air is heated and the heated air is circulated inside the Paint Curing Oven chambers by means of fans. 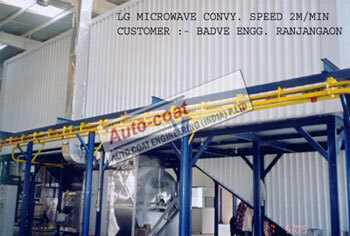 Why Paint Drying Oven or Industrial Paint Curing Oven or Paint Baking Oven? Proper arrangement for location of burners and heaters in the Paint Drying Oven to ensure uniform heating. The arrangement of burners or heaters in a Paint Drying Oven should ensure the provision of uniform heating across the cross section and the length of the Paint Drying Oven. Paint Drying Ovens are generally constructed out of mild steel sheets with strengthening members and supports the outside wall of Paint Drying Oven and aluminum sheets on the inside wall of Paint Drying Oven, with an adequate thickness of insulation in between. During regular operation of Paint Drying Oven, the temperature inside the Paint Drying Oven is automatically maintained at a pre-determined level with the help of thermostatic controls in case of electrical heating and in the case of steam, gas and oil heating by temperature controllers operating solenoid valves. Improved quality and durability of paint finish can be achieved by providing proper facilities for staving the painted components. This requires a Paint Drying Oven of the right type, size and having the correct staving temperature. In many cases, an improvement in the finish and economics in paint costs can be achieved for users of air drying paints, by adding staving facilities in a Paint Drying Oven and changing over to enamel paints. 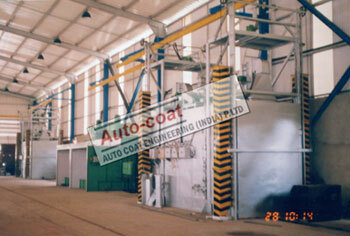 Autocoat Engineering is the most experienced Paint heating oven Manufacturer in India since last 35 years. Autocoat Engineering have been manufacturing superior quality Water Downdraft Booth in India among other valuable products .We have wide experience of manufacturing Wet Downdraft Spray Booth with different material handling and different product size , and different production volume.